Alien Pastures » What’s cooking? You surely noticed a bit of silence on this blog. Well, there was not much to say – I am not the twittering kind of guy who updates his readers where he’ll go out every night… I think I can lift the lid a little anyway. I have been working on several larger packaging projects during the past weeks. LibreOffice is the one that took most of my time unfortunately. The new release 3.4.0 has been announced today, and that means I can finally test my revised SlackBuild script when building Slackware packages for you. My old way of compiling LibreOffice no longer works! It has been “deprecated” by the developers, which is a shame because it forces me to do a lot more work. Anyway, expect packages for Slackware 13.37 sometime this weekend. I will probably not create Slackware 13.1 packages for this new LibreOffice release. What I do consider is to build the upcoming maintenance release for LibreOffice 3.3 (which will be 3.3.3) for Slackware 13.1. KDE. How to begin? There are some stirrings in the KDE camp. We are nearing the end of the KDE 4.6 series. Two more updates will see the light: 4.6.4 should be available in a few days and 4.6.5 is the final update, expected in early july. But considering the fact that the previous 4.6.3 experienced delays, it may take a little longer before I can start on packaging 4.6.4. The new series 4.7.x proves to be a bigger challenge for Slackware. We saw that the 4.6. series moved away from HAL and instead requires udisks/upower (which was the reason for sticking with 4.5.5 in Slackware 13.37). The KDE developers have now finalized their move from CVS to GIT as the source control and version management system. The result is less than optimally arranged for packagers. The old “monolithic” source tarballs are now being split into many additional tarballs for individual applications. This means we have rewrite our scripts and possibly add a lot of packages. While this may be advantageous for some other distros with dedicated packaging teams, for us Slackware people it is a time for decisions. After talking to Pat Volkerding, I announced on the KDE packager mailing list that we are considering the same solution as was chosen for GNOME in the past: remove KDE from Slackware if it proves to become a maintenance burden. I can not yet say anything final about this. For the time being, I have decided not to create Slackware packages for the KDE Software Compilation 4.7.x. And then VLC…I have been waiting for a 1.2 release for so long that I almost do not believe it will ever arrive. 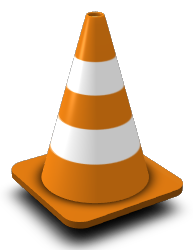 I have a SlackBuild for it, but I will likely wait a bit longer before releasing a package for ths development version of VLC media player. It appears like there is a 1.1.10 release around the corner which is what I’ll build for Slackware 13.1 as well as 13.37. Looking ahead, I think that creating VLC versions for Android is going to be considered more important. There is a whole new audience there, and I may very well be one of its users. There is also the fact that the developer team is almost always short of smart and motivated people. This showed last year when it was almost impossible to release a MS Windows version. Jean-Baptiste Kempf feels responsible for this so he made it happen, but I doubt that it is making him very happy. And finally, Calibre E-book Management. 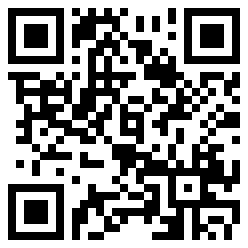 This piece of software is indispensible if you are in the possession of an E-reader. 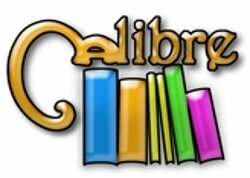 Calibre manages your e-book collection, converts e-books between various formats (interesting for you Kindle users out there!) and allows you to upload books to your E-reader device. Calibre usually works a lot better than the software you get with your E-reader. And since I am buying a Sony PRS650 for my wife I needed to have a working verison of Calibre for my Slackware box. Posted: 3 June, 2011 in Slackware, Software. Wow! Although I use XFCE exclusively and would welcome an XFCE-only Slackware I realise dropping support for KDE would be a huge personal blow for you after putting so much work into it, not to mention a blow to Pat as well of course. And then? There’s nothing else. XFCE and LXDE are unusable. What about Gnome 3 in Slackware. Gnome is much easier to build now. And it looks much better than KDE does. XFCE unusable? What have I been using for the past two years, without a solitary problem? +1 to remove KDE if it becomes a huge monster. There are many other choices, and xfce looks very nice with a bit of tuning. Eric, thanks a lot, once again. Pingback from kick away KDE just like Gnome? Slackware will not be the same without KDE. Although I understand this decision, today is a sad day. Do you have decided what is going to be KDE’s replacement for the official release? I’ve been using KDE since when it exists. I can’t conceive the use of a Linux system without it. While I can surely see myself mantaining my own selfcompiled KDE in the future, I’d put stress on the fact that a distribution without none of the two major DMs has a wide loss of appeal. Ok, no one here is living on the plan to make Slackware the most used distribution on the planet, but …. Maybe a separate KDE build project, a-la GSB ? Maybe, if it can keep up. Maybe a public call to volunteers willing to help compiling and mantaining a more fragmented KDE system? KDE for Slackware will of course not go away just like that. IF the KDE developers get their act together, or if Slackware developers suddenly get a lot of inspiration, KDE will just remain part of the distro. That will be the likely outcome, there is no reason for panic yet. My post to the KDE packager list was meant as a way to shake up the KDE folk, that they can not get away with anything. A pity that the list is closed so I can not post a link to it. We have KE 4.6 and that is very nice, and I have packages that surely end up in Slackware. When it’s time for decisions we are probably one year further… that is a lot of time to work on new SlackBuilds for KDE 4.7. Hey, keep KDE! the very high quality of KDE implementation of KDE is what I love about Slack the most. If it would be gone from Slack I would sadly have to go to some other distro and hope they have improved to the level of Slackeware’s KDE packaging. All other desktops sadly don’t even come close to what KDE offers. Why on earth would you be happy if Slackware didn’t have KDE? Just to feel like you won the DE war? Who cares if a DE you don’t use is in the distro? Will you be happy when they remove Fluxbox too? Exactly, that’s it. The mailing list you refer to is that of the “release-team” which received a copy of my message. The “kde-packager” list which I sent it to, has no public archives. There is more, and just a few minutes ago the discussion started again and I posted my comments. I would be happy because Slackware would be purging itself of software I consider no better than a Vista wannabe. For me Slackware is and should remain clean and lean. KDE is anything but. It’s not about winning any war. It’s about having a usable, Unix-like working environment that doesn’t change radically every six months. FYI I consider KDE the best of all DE solutions out there – but you need modern hardware. Running KDE feels like having a lot of GUI empowerment, and working in the console is not affected by it either. Slackware has multiple desktop/window managers so there is always a good chance that there is one among them that you like. And XFCE is good, I use it on several computers. But if KDE would ever be removed from Slackware, I’d gladly be part of a “KDE SlackBuild” project. I certainly don’t mean to offend you. I just never liked KDE/Gnome and would never have moved to Linux/BSD if I hadn’t found XFCE. And that’s with a Core 2 Duo and 8Gb of RAM. I am glad then that we all have a choice! The beauty of Linux and Open Source is that there are always more ways to get things done. I compiled Calibre successfully with python 2.6.6 originally included in slackware 13.37. All you need are two more packages – importlib and ordereddict from pypi (http://pypi.python.org/pypi/importlib/1.0.1, and http://pypi.python.org/pypi/ordereddict). Then replace “from collections import OrderedDict” lines with “from ordereddict import OrderedDict” in some source files. I was unable to find directions that made it possible to use python2.6. The website documentation says “requires something between 2.7 and 3.0” and initial compilation also failed with a “missing python2.7” error. That is why I tried incorporating a python2.7 interpreter into the package. It works, too, so I am now pondering what to do next. Leave it as-is, or go on a hunt for two more dependencies and try patching calibre to use those? I find it hilarious when people think they know what Slackware should be better than Pat V. Maybe it’s time to find another distro? I hope Slackware remove KDE and focuses on XFCE 4.8. Then, in new free space, LibreOffice. No thanks. I already have multiple distros running under NetBSD Xen. in my opinion Slackware would be a better distro without KDE. I don’t express this opinion unless asked. I am surprised you have such trouble with people expressing an opinion. Everybody is entitled to his own opinion. You may not like KDE, but you like Slackware and you found that it’s useful for you. That is enough for me. Anyone who cares enough that he/she posts a comment here or in the LQ thread shows that there is a Slackware heart beating inside of you (fingers crossed that the trolls stay out of the discussion). Remember that Slackware is not a community-developed distro but the community has a big influence on how it progresses, by means of discussions like these. I use twm+stalonetray+xclock on my desktop, but I need kde to use kmail as I use it many years. Your opinion is: “I want KDE removed from Slackware because I don’t use it.” THAT is what I have a problem with. Why should you care if software exists in Slackware? Don’t use KDE? Fine, don’t install it. But spare use the whinging just because it is an option for the rest of us. And what will happen if KDE is removed, I think that the alternative will be a comunity like GnomeSlackBuild.org right? I said I would welcome an XFCE-only Slackware. I did not say “I want KDE removed from Slackware”. There is a huge difference between these two statements so don’t misrepresent me by trying to conflate the two. That is my last word on the matter. After knowing nothing but Windows for most of my adult life I eventually moved over to Linux because of Slackware. I appreciate its simplicity, speed, and stability. Most of all I love the Slackware philosophy. I also use Salix and NetBSD. I can’t imagine using anything else, and anything which happens to make Slackware a sustainable project in the long-term gets my vote. I moved from KDE to xfce when 13.1 came out in order to resolve a few issues and I am now happy to stay with it. ! I think removing KDE from Slackware is a sad choice. I have never liked KDE and Gnome, but it is important for the distribution to bring at least one of the big desktops. That said, if the team thinks a component of Slackware is becoming buggy, bloated, or unmaintenable, then I encourage you to erease it of your list, no matter how hard is it. Big desktops have started to force invasive dependencies upon the rest of the system. You know Gnome3’s team is talking about enforcing Systemd as a dependency? Good you get rid of Gnome when you did, even when I don’t like you having to take that option. If KDE starts making things imposible, forcing stupid dependencies and the like… It is hard to say, but you would have no other reasonable option than drop it. Mantaining an unmaintanable piece of software is painful and impossible. If every distribution took defective or unmaintainable software off of their repos, then we would have better quality upstream software, for sure. Have you thought about a desktop environment to take over KDE? Maybe LXDE? I like KDE, but could that just be habit and comfort with the known. I use it differently than I did a few years ago. The “desktop” paradigm with the icons and menu button seems less important now. I use krunner much more than any other function ‘on’ the desktop and I find myself to be equally at ease with Fluxbox or XFCE. My habitual preferences make it so that even when I’m using one of those other DE, I tend to favour opening konsole as my shell vehicle of choice. But that can change too. For instance, NetBSD is installed on some of the machines I use and I have grown to really like Eterm in that environment. I used to use gnome in earlier versions of Slackware, and when that left, it was like a wall that used to have a picture for a while – you notice where it was around the edges but it’s not serious. In a nut-shell as long as Slackware maintains its stability and its basic concept of ‘configuration-by-script’ I can adapt. I find your decision very disappointing, especially since we are working very hard to resolve the problems you have. I have personally taken up the stake of slackware here at the Platform11 sprint, and we take your concerns very seriously. I would like to invite you again to continue our discussion on the kde-packager cq. release-team mailinglist where I’ve asked you for some information and input to resolve the problems you have, and we have specifically worked on tools and solutions for the problems you seem to have, even with the little information we have gotten from you to actually address these problems. As to your comment about KDE SC 4.6 requiring HAL, that is actually factually incorrect. We support *both* HAL and upower in 4.6. I know you are working hard on resolving the packaging issues resulting from the source split (remember, I am not the only packager to prefer monolithic tarballs but I guess was the most harsh about it). At the time of writing (late may) and the flood of source tarballs was released, it was a shock to which I reacted. In the weeks that followed, not much happened until a few hours after I wrote this blow post. I have no idea if that was just coincidence or someone saw this article come up in an RSS tool. The article was not even meant to be a stab at KDE, my comment about the KDE source proliferation was not the heart of this text. It was meant as an informational message to my audience, after a lack of updates from my side. I am currently at home with a throat infection preventing me from speaking more than short bits (among other things) and my physical unbalance makes for less than pretty statements. But I am glad it looks like the whole packaging situation is finally getting a healthy amount of attention. I do appreciate – let that be clear – your effort, if you need more personal means of communications then you can get my Jabber account in your mailbox, but for sure I will answer on the packager list. Whatever the outcome, half the people that comprise the Slackware developers team, including Pat Volkerding, are running KDE as their day-to-day desktop environment, so really bad things will have to happen for us to give up KDE. Finally, about the HAL situation, I know it is still supported in KDE 4.6 but the issue is that not all the optional components in KDE will compile without the presence of udisks/upower. So: while KDE4.6 will be functional it will not be as complete as I want it to. When building Slackware’s KDE environment I want it to be perfect and enjoyable. Requiring HAL or not, is not really an issue, even though it kept Slackware at 4.5.5 for the latest stable release. Some things are out of our control, like deprecating HAL and forcing the DeviceKit stuff upon us. In general, KDE is a shining example of how a complex project manages to stay largely independent of any major external influence. I’d like to see it stay that way, AND as easy to package as a coherent whole as it has been all these years. The HAL issue should not happen, I’ve just talked to our Solid maintainer about it. He asked me for specific bugreports about that, so he can look into the issue and address them. I’ve never liked KDE SC musc, so if we lose it, I wouldn’t cry for the lost. At the opposite, I’ll be more than happy if the the XCFE package is split into severals parts. Pingback from Open News | Slackware gatavojas atteikties no KDE? IMO, the biggest problem with Slackware which forced me to migrate to Gentoo is not the presence of KDE4 but the fact that, w/o any reliance on KDE SC, Slackware is not a fully featured distribution which could just “do everything”. This was OK in the days of KDE3 but became unacceptable when Slackware regrettably embraced KDE4… Making XFCE the truly functional “default desktop” by adding KDE4-independent office (e.g. abiword, gnumeric) and multimedia applications would certainly make me consider returning to Slackware (which I left in 2009 after 15 years of being loyal to when SW 13.0 came out featuring not only KDE4 but also a critically buggy gcc version). A better solution would have probably been to ignore KDE4 from the very beginning and support Trinity DE instead but, unfortunately, it seems to be too late now. Pingback from OpenSource News » Slackware rimuoverà KDE? First: Thank you for your work on Slackware. I subscribe to the DVD sets. Second: Dump the morons at KDE. Let them try to wrap a distro around their mess. Third: Lotsa mewing about DEs for a distro that has a default init to console. Eh? Use the practical, efficient DE for a default that you who actually do the work agree upon. Since the discussion is the DE, I note that Pardus Kurumsal 2 (corporate)has released with KDE 3.5 as default with just under 1000 packages. With a few tweaks, it is handy. It is both _32 and _64 versioned and there is a PAE kernel for _32. Runs fine on old junk and new junk also. One could roll their own after learning how to package for Pisi. Whatever flubs your dub. And, there is Paul Sherman’s version. Again, thank for your work. Korzeniowski, Sercari, Personally, I’d never go back to KDE3. It did not appeal to me and I rather used XFCE back then. Korzeniowski, I don’t think the people at KDE are morons. I also do not think KDE will be dumped from Slackware. And Slackware starts at the console because it does not assume anything – you may want to run it as a server, or as a desktop; it’s all possible. After a morning of dabbling with a “Ubuntu Server 10.10” I am again very happy to start up a Slackware box and know that I have all the power of a real Linux distro at my fingertips. Please remove KDE. The next Slack will be the perfect distro: no Gnome, no KDE, but xfce + LibreOffice + texlive. My dream! Thx for you incredible work on this incredible distro. I will not miss KDE, or any of the stupid consolekit/policykit/pam garbage it keeps dragging into slackware. KDE Team has released SC 4.7 RC1. Have you decided not to build Slackware packages? I read kde-release mailing list, but I have not understand exactly what’s happening.. it seems there is a bit of confusion. Indeed I am not preparing to build KDE 4.7-RC1. The source release is the same mess as it was with the previous beta. The release team and the developers seem to have a disconnect. With sufficient time at hand I would come up with a proper build script (it is not hard, just a lot of initial work) but I do not have that time. I will probably build KDE 4.6.5 though, if that does not get added to slackware-current. Wow, remember when the SlackwareTeam was so gung-ho over KDE4? I can live without the KDE Desktop, but give up Konqueror? Not gonna happen. I’d love to see support for Trinity, the Desktop forked from KDE3. I like KDE4, and I use it… but for me, I just don’t see any productivity advantage to the newer Desktop, and I still use KDE3 every chance I get. Nothing changed in the way I view KDE4: it allows me to be productive and enjoy myself using it; and it is the most complete UNIX desktop environment available today. Pat & rest of the KDE users in the team have not changed their views either as far as I know. If you want my opinion on Trinity – I think this project needs far more actively coding contributors for it to survive in the long run. Their attempts to port KDE3 to Qt4 using a “Trinity Qt Interface” are probably going to make it harder to maintain, but who knows, it may work out. With Trinity’s support for Slackware apparently stalling at 12.2 I doubt that anything worthwhile should be expected for users that stick to Slackware’s current releases. KDE3 can be polished and bugs can be fixed, as this Trinity project shows. But if it had appealed to Slackware users, I would have expected a more active collaboration from those people. Me, I am glad to have left KDE3 behind, it never appealed to me. With “using konqueror” I guess you mean “using konqueror as a file manager” ? I can not comment on that since I always managed files using the terminal in KDE3… and only KDE4’s dolphin convinced me that using a GUI to manage and manipulate files and directories can have advantages. It looks strange – we could not to do rewriting build scripts- we are giving up! It is not a linux way! What about porting archlinux build scripts for KDE 4.7 ? So, the main idea – do not panic, do not invent a bike many times, just use some work from other distros, Slackware based. FYI Arch Linux is not Slackware based… it is incompatible with Slackware. And I do not panic. I just do not have much time to spend on re-writing stuff that used to work and then breaks because a software release policy changes. I think it is a waste of precious time. However, I do want to have KDE 4.7.0 available for Slackware. Since that is only a matter of finding enough available free time, it was inevitable that I would do the re-write at some point. Holiday periods are good for that. Since last night, I have a set of KDE 4.7.0 packages, created by a rewritten and modular KDE SlackBuild. I needed proof that the script works, and I have that proof now. So I am rebuilding the packages now (for both ARCH-es) in order to test the new release before uploading the packages. Hello ppl 🙂 I’ve been reading the discusion (here and on the kde mailing list) and (specialy after reading Wulf C. Krueger’s comment) i’m 100% for dropping KDE from Slackware…. Anyway i’m sure there’ll be ppl who can continue the support for KDE for Slackware , just like it happend when Gnome was dropped ….To be honest i’ll be happy if i see KDE going away and GSB becoming part of the official distirbution (witch i doubt will happen, but that’s not a reason to stop draming about it 🙂 ). Trinity got stalled in 12.2 because the main developer is a Kubuntu guy. That’s unfortunate, because I think Slackware is a much better match. After resisting, I thought I’d surrendered to KDE4 around 4.4, but recently an older computer of mine stopped reading from the hard drive, and my simple hack for fixing it was to run a live CD, and I chose Slax, which I customized by adding new versions of firefox, thunderbird, seamonkey, and opera. And it took me by surprise how much I loved running KDE3.5 again. Even with the older applications, it’s so simple and intuitive. I’m giving up on KDE4. I’ve given it a fair shake. I’ve used it for over a year and a half, and I can’t stop fiddling with it; it’s hugely distracting. I’m tired of thinking of my Desktop as if it was an apartment that I’m supposed to furnish and decorate. I’m tired of THINKING ABOUT THE DESKTOP, period. If any of these thousands of features are making me more productive, I can’t name it offhand. I can’t think of a widget that does anything that can’t be done by an application that can be only a click or a keystroke away. Why do I need to have it mounted on the desktop? As far as I can see, embracing Trinity wouldn’t make Slackware any more of a niche distro than the similarly sensible no-nonsense decision to reject dependency tracking. Still, it might do well to make XFCE the default. KDE still has the best applications, and if Slackware keeps KDE4, I’ll continue to run Konqueror, Dolphin, Konsole, and K3B from XFCE. Obviously, if Slackware were to embrace Trinity, its Slackware development prospects would improve. I’d only urge that it be looked at as an alternative to no KDE at all, and in the unlikely event that it were to happen, I’d suggest that XFCE be made the default. Trinity got stalled in 12.2 because the main developer is a Kubuntu guy. That\’s unfortunate, because I think Slackware is a much better match. After resisting, I thought I\’d surrendered to KDE4 around 4.4, but recently an older computer of mine stopped reading from the hard drive, and my simple hack for fixing it was to run a live CD, and I chose Slax, which I customized by adding new versions of firefox, thunderbird, seamonkey, and opera. And it took me by surprise how much I loved running KDE3.5 again. Even with the older applications, it\’s so simple and intuitive. I\’m giving up on KDE4. I\’ve given it a fair shake. I\’ve used it for over a year and a half, and I can\’t stop fiddling with it; it\’s hugely distracting. I\’m tired of thinking of my Desktop as if it was an apartment that I\’m supposed to furnish and decorate. I\’m tired of THINKING ABOUT THE DESKTOP, period. If any of these thousands of features are making me more productive, I can\’t name it offhand. I can\’t think of a widget that does anything that can\’t be done by an application that can be only a click or a keystroke away. Why do I need to have it mounted on the desktop? As far as I can see, embracing Trinity wouldn\’t make Slackware any more of a niche distro than the similarly sensible no-nonsense decision to reject dependency tracking. Still, it might do well to make XFCE the default. KDE still has the best applications, and if Slackware keeps KDE4, I\’ll continue to run Konqueror, Dolphin, Konsole, and K3B from XFCE. Obviously, if Slackware were to embrace Trinity, its Slackware development prospects would improve. I\’d only urge that it be looked at as an alternative to no KDE at all, and in the unlikely event that it were to happen, I\’d suggest that XFCE be made the default. I’m happy to note that Trinity has been adopted for the recent release of Porteous, the distro formerly known as Slax remix. I’m just an end user who knows nothing about Development, but in my opinion, Trinity needs to get far enough away from KDE that it’s not seen as directly competing with KDE for space, because Trinity will always lose. All you’d have to do (I’m guessing) is rename everything. Without the unnecessary conflict of two of every application, there’s no reason why Trinity couldn’t be as readily available as any other Desktop, but clinging to the KDE identity is going to kill it. 1st of all – Thank you for GREAT JOB! From now Slack is no more with thought “lets remove KDE”. Also, based on KDE 5.0 future plans – it will be the same next releases and these Slackbuilds could be a good base to start. The reason – some garbage, that was in my user home: ~/.kde/.config/user-dirs.dirs that REWRITE settings for Desktop folder. So – I have just deleted it to let things goes normal throu xdg. BTW – for ALL who vote for removing KDE: I have made attempt to switch to XFCE, like Linus. – not bad, but even on xfce 4.8 – it is lite but still not perfect, for example still tiling/cascading windows for xfwm feater missing. And finally, after manually adding step by step plugins, missing applications, compiz-fusion, etc – I have made conclusion that it also goes again for memory consuming, time consuming for added things goes to work perfect, again make my system overloaded with package of libs (some portions of gnome-libs, other deps, etc). What I love about the Slackware is the focus on what works and works well! My wish list is for documentation of KDE APPs that can work independently of KDE in slackware, ie. Blogilo. Is it a viable solution to create KDE Apps with minimal KDE library dependencies? A question I’ve been googleing and finding only fragments of viable information. Thank you for your great works.